Mr Andrew Mooney is a doctoral candidate in Zoology at Trinity College Dublin and a member of the Species360 Conservation Science Alliance. He received his B.A. in Zoology from Trinity College Dublin also. His research focuses on the conservation of global biodiversity through collaborative data sharing. He is currently investigating the composition, status, and diversity of global zoo and aquarium collections in order to help maximise the conservation potential of the world’s zoos and aquariums. 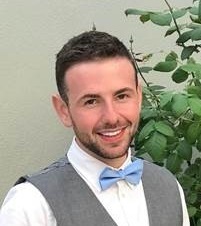 As a Fulbright Student to the San Diego Zoo Institute for Conservation Research, Andrew will work on the pioneering efforts to conserve global biodiversity through the development of a prioritization protocol for the collection of genetic samples from endangered species to be banked in cryogenic storage facilities globally.